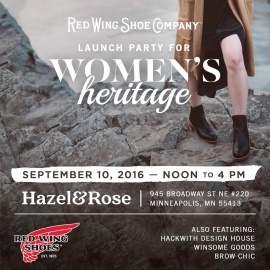 Hazel & Rose is about recognizing that what you wear matters. How it was made, and who made it, matters. Quality matters. Beauty matters. It's not just about buying sustainable and ethical fashion because you should. It's about buying sustainable and ethical because you want to. Well made // First and foremost, goods should be beautiful and they should last. Sustainably made // Fashion is the fifth-most pollutant industry in the world. The goods sold at Hazel & Rose are made with the intent to lessen the environmental impact. Ethically made // No one should have to give up their life to make clothes. The individuals who made the goods sold at Hazel & Rose are paid a fair and living wage.